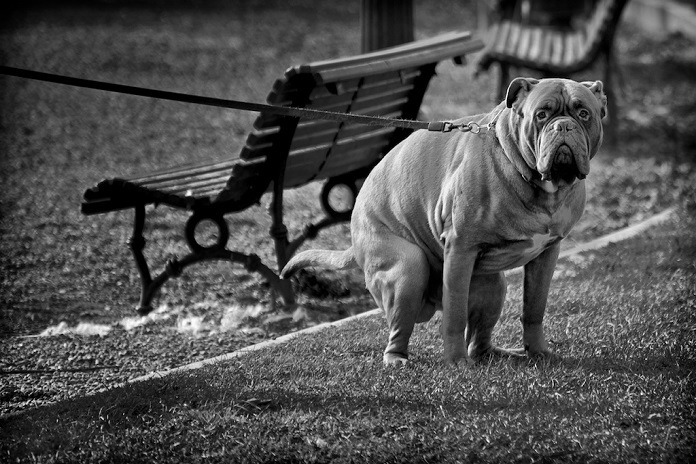 Home Health My Dog Has Diarrhea – What Should I Do? Oh, No! My dog has diarrhea?! This line is surely delivered in a panicked tone. Some will even find a dog’s diarrhea stressful. And some of us will even feel upset to see our dog suffering with this kind of condition. Dogs are a family member. They are our trusty companions. They protect us from bad guys and always make our day memorable and joyful. As a pet owner, we must be responsible. Instead of panicking or getting mad, find a way to cure this condition and prevent it. Bacterias such as E. coli, Clostridium perfringens, Salmonella, Spirochetes and Campylobacter are the main causes of dog diarrhea. It can be acquired from contaminated and improperly cooked foods. To avoid this, properly cook dog food by using a correct cooking temperature, preferably 75°C to kill food borne bacteria, and be more cautious about the foods you're giving to your pooch. Also, don’t forget to check the expiration date labeled on the can or bag of dog food. Another cause of diarrhea among dogs is ingestion of garbage. If you let your dog roam anywhere, your dog can ingest something they shouldn't have. This kind of condition is commonly known as "Garbage gut". To prevent this, be organized, make sure trash cans and garbage bags are kept away from your dog. Did you just introduce a new dog food? If your dog switch to a food he hasn't consumed before, it can cause sensitivity reaction such as diarrhea and vomiting. If you want to change your dog's diet, it is better to switch dog's food gradually or provide a gradual transition in order to minimize any gastrointestinal symptoms. This could also be a reason why dogs experienced diarrhea. If your dog experiences slow but steady loss of kidney and liver function, he needs to have a regular check up to a vet for proper treatment and to monitor your pet's condition. Usually, symptoms of dog diarrhea are liquid poop and frequent stools. Other signs include blood or mucus in stool, flatulence, fever, lethargy, vomiting and dehydration. If a dog’s diarrhea is black in color, there could be internal bleeding of stomach or small intestine. If this is the case, better rush him to a vet. Watch: How to Handle the Problem of Doggy Diarrhea? Based on WebMD, if your dog is experiencing diarrhea, don’t give him any food for 12-24 hours, but give him plenty of clean, fresh water to stave his condition and calm down his bowel. Giving him water is the safest treatment to give. If this condition still persists, let a veterinarian check your pet's condition for appropriate treatment. When your dog has diarrhea, it is necessary to maintain a proper diet. After a period of fasting (12-24 hours), you can prepare a bland diet and let your dog eat an easy to digest foods such as rice, chicken meat (no chicken skin), plain mashed potatoes and hamburger meat. How to Make a Bland Diet? 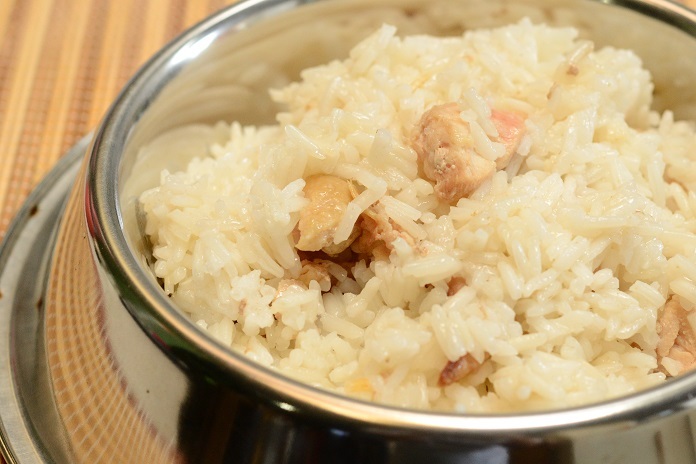 Chicken and rice bland diet to help your dog recover from diarrhea. Prepare a bland diet consist of 3 parts plain white rice to 1 part boiled chicken or hamburger meat. After you've prepared it, feed your dog small frequent amounts of food and water instead of the full meal amount. Once your dog becomes stable, little by little, you can give him other foods and add more amount of servings. It is necessary to keep monitoring the condition of your dog. Avoid giving treats to your dog if he has a diarrhea. Don’t give him table scraps as these may worsen the condition. Ask your vet’s advice for other foods you can feed to your dog. My Dog has Diarrhea, When is the Best Time to See a Vet? If your dog still experiencing diarrhea and it has gotten worse for more than two days. And, if you also notice weight loss, decreased appetite, vomiting, fever, lethargy and bloody dark-colored stool you should consult your veterinarian as soon as possible. How Can I Prevent Future Bouts of Diarrhea? Cleanliness and organizing your house are basic steps to keep your dog safe and healthy. Doggies are like kids. They are playful and curious about everything. Since they are playful, make sure there's no small objects on the floor. Dogs may swallow it as they think these small objects are food. Make sure their bowls are clean by washing them regularly and replacing their water with fresh and clean ones. If there are leftovers in the bowl, better throw these in the garbage bag to prevent your dog eating spoiled foods. Also, make sure your dog will not consume table scraps and spicy foods as these are not good for his intestine. Don't forget to keep up-to-date vaccination to avoid other occurrences of diseases.